Nissan Dualis Ad - AJ Scarcella - Designer and maker of things. 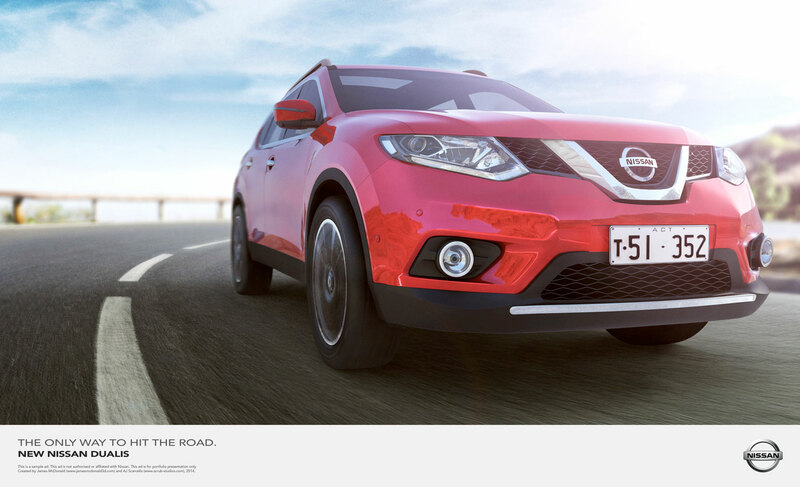 Working with 3D compositor and retoucher, James McDonald, the Nissan Dualis print ad was an experiment in art direction and layout design based on Nissan’s brand guidelines. The final ad is composited from multiple elements, including a CGI car and multiple photographic plates for the background. I served as art director for this ad and constructed the layout for the ad itself. Please note that this ad was made purely for the purpose of demonstration. It is not authorised or connected to Nissan or any company or person related to Nissan.